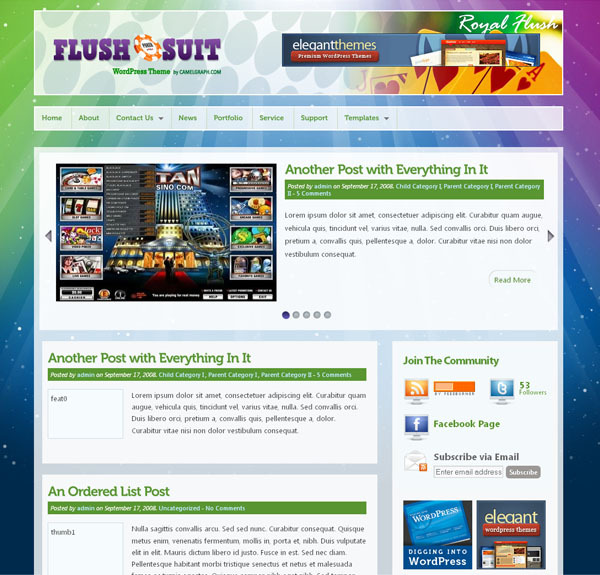 Free Download Flush Suit Amazing WordPress 3.0 Theme with premium features such as animated gallery, post thumbnail, flickr photos, latest tweets, social bookmark, popular posts and more. View the list of features below. Tested on FireFox, IE6, Opera, Safari.